Now in its 16th year, the Lawley Art Auction is Mount Lawley Senior High School’s major fund raising event for the Specialist Visual and Performing Arts (SVAPA) and Music Programs. Funds are used by the SVAPA and Music Parent Support Groups to keep these programs engaging, contemporary, challenging and rewarding for our highly talented students. We aim to hone technical and artistic skill, creativity, curiosity and analytical thinking. Under the guidance of inspirational teachers, many young lives will be directly enriched, and futures brightened. Held annually, the auction represents a tremendous commitment and partnership between artist, parents, business, community and school. We sincerely thank all the people who contribute in so many ways to the success of this fundraising event. Every year the bidding is exhilarating with a stunning array of artworks on offer. The funds generated by each auction have been put to good use purchasing equipment, funding the presentation of high-calibre theatrical and musical productions; hosting workshops with leading artists and performers; and contributing to students attending world-class performances in Perth and beyond. Show Off was born with a desire to showcase the art and artists who have chosen to make Cockburn their home and 15 Show Offs later it is still going strong. From early and small beginnings it has grown to include 65 local artists in the 2019 Show Off exhibition. It is by far one of the City of Cockburn's well-loved events. Each year Memorial Hall opens its doors to the public so they can view what local Cockburn artists have to show off. It includes sculptures, oils on canvas, acrylic on canvas, glass works, art using recycled materials, tea bag art, watercolour, clay and the list goes on! Open daily from 6-14 April and it's free for all to view. I am excited to be a part of this year's Fremantle Arts Bazaar again. Myself and Beste Ogan will be sharing a stall and we are looking forward to sharing all of our new projects with you. Bazaar is your yearly slice of Christmas shopping heaven, taking place on the first weekend in December. In 2018, Bazaar will be open from 30 November – 2 December. Established in 1979, Bazaar is the foremost event of its kind in WA for high quality locally designed wares. Bazaar remains the best Christmas market for goods made by local artists, designers and makers of Perth’s finest fashion, jewellery, textiles, homewares and more. Shop under the stars on Friday night and enjoy the beautiful garden setting throughout the days on Saturday and Sunday. Explore the diverse talents of invited guest artists from the Cockburn community. Show your suppots, see the amazing diverse range of talents, and you may even be able to meet the artists at one of their open studios, held in conjunction with the exhibition. The exhibition is free to view daily from 10am - 3pm from 14 - 22 April 2018. Join us once more for our Community Event at The Pulse Art Studio. We are excited to opens our doors to share creative works by Nis Wichtermann, Danica Wichtermann and fellow artists, crafts people and creative individuals. This is a rare opportunity to experience an insight into their lives, and experience what they do. You can pass the day chatting with the artists in a relaxed atmosphere as well as participate is some small workshops and interactive demonstrations. Many of the works are for sale and you can purchase directly from the makers. Please let us know if you are interested in being a part of this event or future events. You are also invited to bring along your friends and family to come and experience this creative day with us! Click for more info, and artists. Bazaar is your yearly slice of Christmas shopping heaven, taking place on the first weekend in December. In 2017, Bazaar will be open from 1 – 3 December. featuring the works of Di Taylor, Danica Wichtermann and Kay Gibson. Meet the artists on Saturday 23 September from 11-2pm. The Studio is an arts venue in Yallingup with a gallery presenting leading Australian artists and studio crafts, as well as a vibrant three times Gold Plate winning bistro offering continental style cuisine with a local twist. They exhibit a wide range of works from local Western Australian artists as well as leading artists Australia wide. 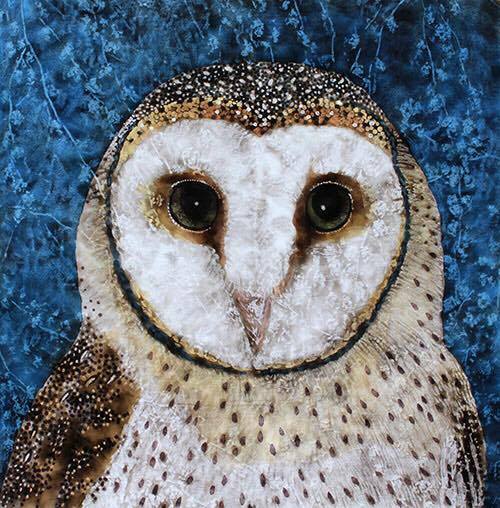 These include painters in various mediums, ceramicists, photographers, jewellers, wood artists, glass and textiles. Over 140 studios around the country will open their doors to the public ... come in and see what we do! Australian Ceramics Open Studios (ACOS) is an annual nationwide weekend event that celebrates clay, community and creativity. Hosted by The Australian Ceramics Association, more than 140 ceramics studios – including many in and around Australia’s capital cities and regional centres – open their doors to offer insight, practical demonstrations and perhaps even the chance to take home a handmade piece. Outstanding Western Australian artists have now delivered their works in preparation for Mt Lawley Senior High School’s premier fundraiser – the Lawley Art Auction. This year the committee has received entries from 88 artists, with a total of 115 pieces submitted. This is a record for the Lawley Art Auction and testament to the quality reputation of the event. The 10th of June 2017 will be an opportunity to view and buy a diverse collection of artworks including paintings, prints, textiles, glass, ceramics and sculptures from many talented Western Australian artists. As part of our 110th year celebrations, the MLC Art Exhibition will be held in the refurbished Gertrude Walton Centre. An eclectic mix of artists will showcase their pieces which will include jewellery, ceramics, paintings, photographs, metal, wood and sculptural works. The exhibition will be open for public viewing for three days. The exhibition is free to view daily from 10am - 3pm from 1 - 9 April 2017. 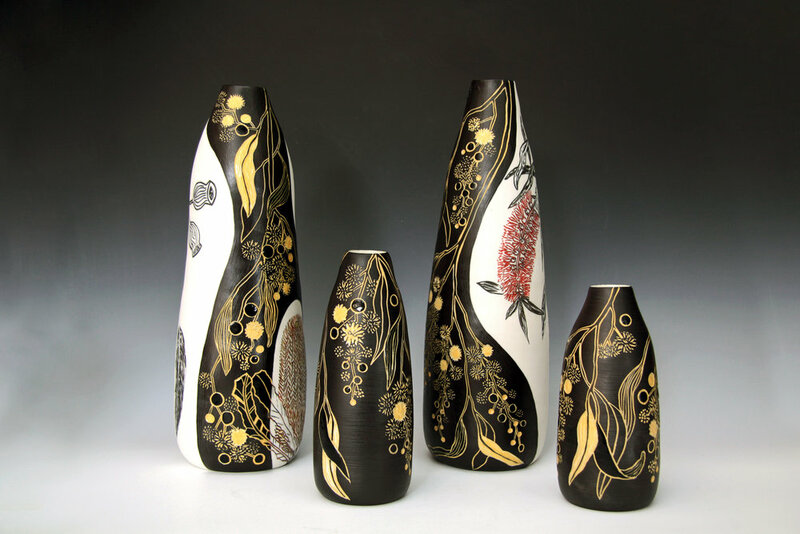 Danica will have several pieces in the Ceramics Arts Association of WA Annual Members Exhibition. Please come along and see all the amazing talent and show your support! All members are eligible for the Kusnik Award (the Award of Excellence) valued at $2000, with the exception of the two previous exhibition winners. All members are eligible for the Judge’s Award valued at $500 and the People’s Choice Award $500. In the lead up to Christmas, Danica will be Opening her Studio in the hills, just in time for some last minute gifts. Open Friday 16 Dec 1pm-5.30pm & Saturday 17 Dec, 10am-4.30pm. Come and have a chat with the artist, discover some of the making process and inspiration behind her work, have a cup of tea and take home some unique handmade pieces, direct from the maker. All work in stock will be available for purchase on the day. Please contact Danica if you would like to arrange an alternative date or time to view her work. During the Open Studio you can also come and partake in making a Beautiful Nature Bowl for yourself. Cost: Donation-if you would like to get it fired and glazed to make it food safe, and takes approx 2-3 weeks to be ready for pick up. Alternatively if you don't want it fired, take it home on the day! I am excited to be a part of this year's Fremantle Arts Bazaar again. Myself and Beste Ogan will be sharing a stall this year and we are looking forward to sharing all of our new projects with you. We will be at stall no 49, up in the top garden area. Bazaar is your yearly slice of Christmas shopping heaven, taking place on the first weekend in December. In 2016, Bazaar will be open from 2 – 4 December. The acclaimed annual Lawley Art Auction is Mount Lawley Senior High School’s major fundraising event to support the school’s creative students in the Specialist Visual and Performing Arts (SVAPA) and Music Programs. The 18th of June 2016 will be an opportunity to view and buy a diverse collection of artworks including paintings, prints, textiles, glass, ceramics and sculptures from many talented Western Australian artists. The Vasse Art Award has grown significantly since it’s inception in 2004 and is the Vasse Primary School’s major fundraiser, drawing thousands of visitors. The Award is one of the most important exhibitions in the South West and an outstanding cultural event for the City of Busselton. Parents and community members are closely involved with the Award. The P & C has run the Vasse Art Award for the past 11 years along with volunteers from the school community. The Award is a significant event on the WA Arts calendar. The exhibition offers a vibrant display with artworks from emerging artists through to those highly acclaimed on show. With up to 260 works on display, the art lover is bound to find a work to appreciate and purchase. The exhibition is held biennially at Vasse Independent Primary School on Kaloorup Road. The Newman Art Expo has been operating continuously since 1977 and has raised an excess of $950,000 for specific projects at the College. This is the College's major annual community event which continues to reflect the importance the College places upon the arts. It was one of the first school art exhibitions to display significant Australian artists as well as showcase the very best, and emerging West Australian artists. 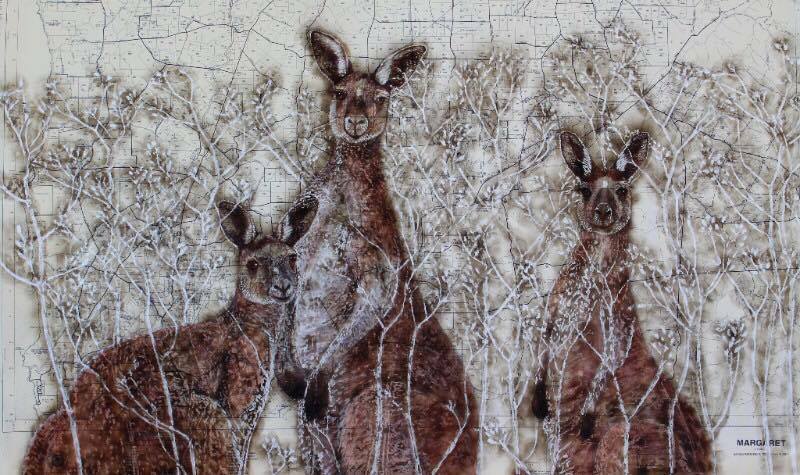 Art at Perth College, 29th Annual Exhibition, (2014, 4 - 6 April), Perth College Pavilion, Mount Lawley WA.